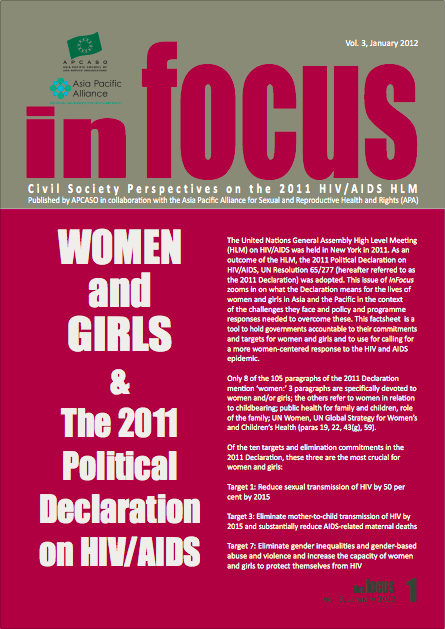 This package of inFocus Policy Briefs unpacks the 2011 Political Declaration on HIV/AIDS, the outcome document of the United Nations General Assembly High Level Meeting on HIV/AIDS that was held in New York from 8-10 June 2011. 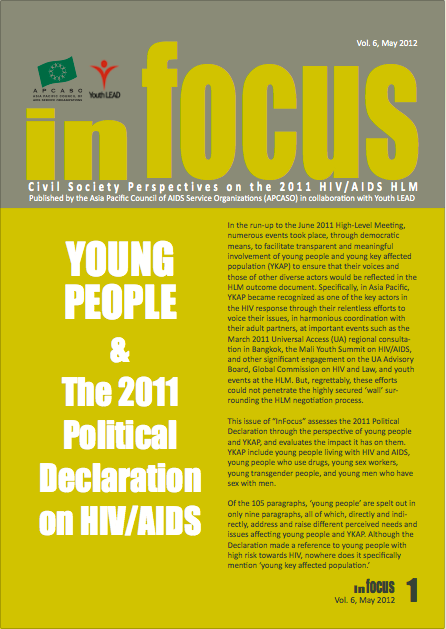 It looks into what the declaration means to different key populations and to the HIV response in general. 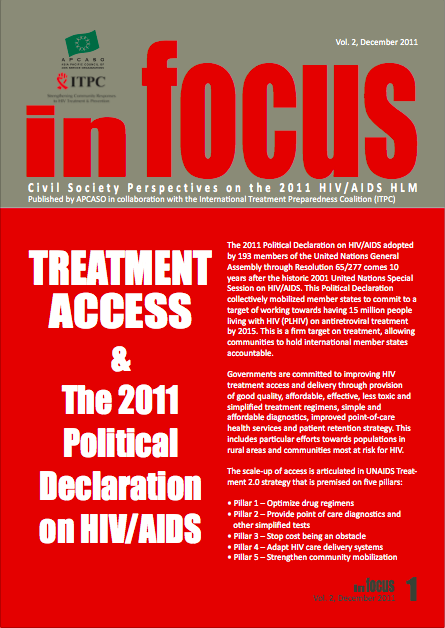 Volume 1 of inFocus looks into the 2011 Political Declaration to tease out the commitments made by Member States and what references the outcome document contains for key populations, vulnerable communities, and evidence-based HIV interventions. 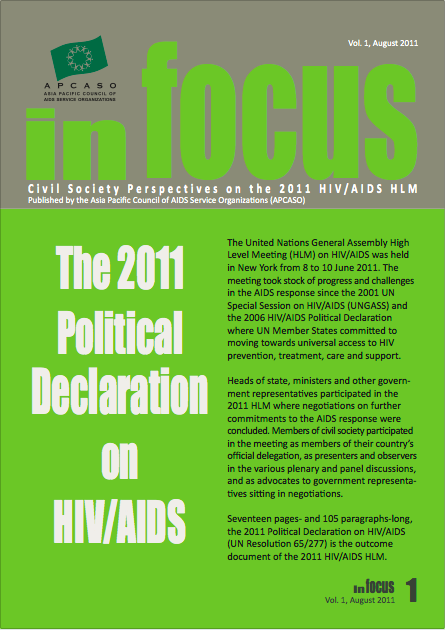 The Political Declaration is the result of the UN General Assembly High Level Meeting on HIV and AIDS, and the meeting took stock of progress and challenges in the HIV response and reached agreement with regard to priorities Member States should work towards in order for the response to be effective. Download inFocus Volume 1 here. The Declaration mobilised Member States to a target of 15 million people living with HIV on antiretroviral treatment by 2015. 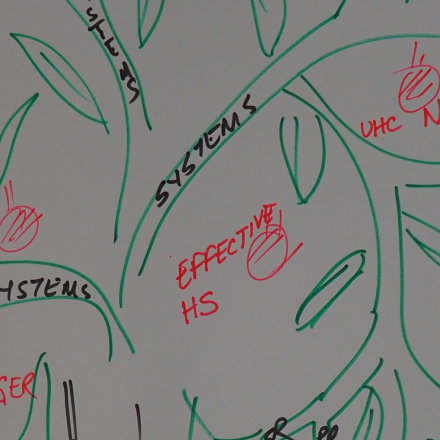 This brief, produced in partnership with the International Treatment Preparedness Coalition (ITPC) explore affordable medicines, reducing co-infections as well as a commitment to strengthening health systems as significant factors in achieving this target. Download inFocus Vol. 2 here. 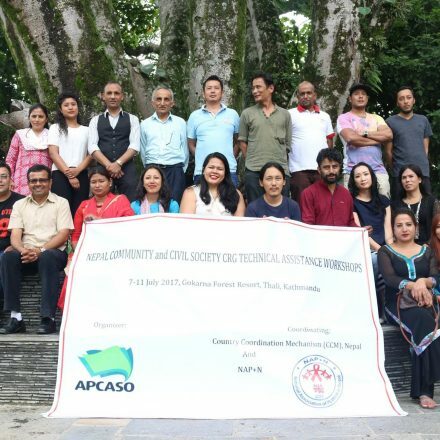 This brief, produced in partnership with the Asia Pacific Alliance on Sexual and Reproductive Health Rights (APA), looks at what the Declaration means for the lives of women and girls living in Asia-Pacific. 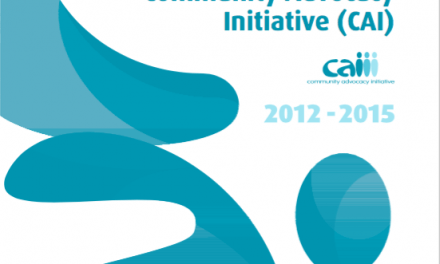 The targets of reducing the sexual transmission of HIV by 50% by 2015; preventing parent to child transmission of HIV by 2015; and, eliminating gender inequalities and gender based abuse and violence, whilst increasing the capacity of women and girls to protect themselves from HIV, are explored in this brief. Download inFocus Vol. 3 here. 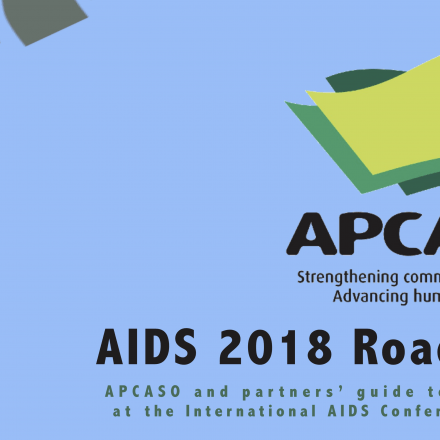 This APCASO brief, produced in partnership with the Coalition of Action Research on AIDS and Mobility (CARAM), explores the impact of the Declaration on the 61 million migrants from countries of the region and also highlights the barriers to scaling up universal access to comprehensive HIV prevention, treatment, care and support for those populations. Download inFocus Vol. 4 here. 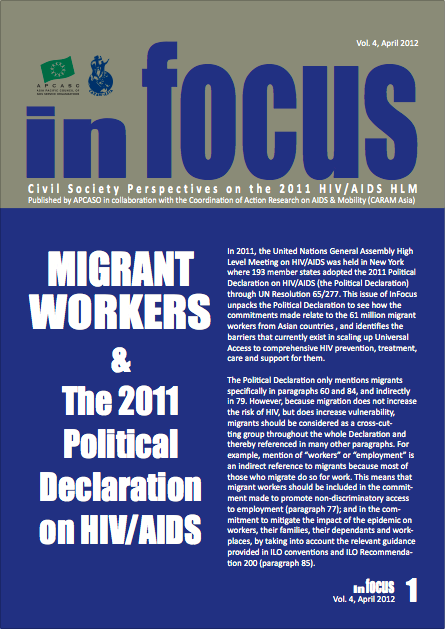 MSM were included as a key population in the Declaration for the first time in the 30 years of the epidemic. Given the highly concentrated MSM epidemics in the region, explicitly bringing MSM into this international conversation is an important development in the HIV/AIDS response. 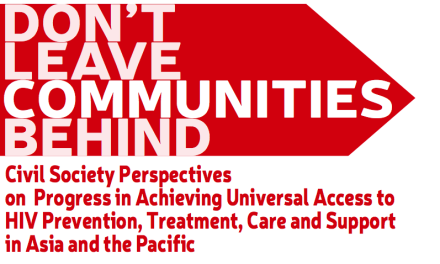 This brief, produced in partnership with the Asia Pacific Coalition on Male Sexual Health (APCOM) explores the importance of the Declaration for MSM living in Asia-Pacific. Download inFocus Vol. 5 here. 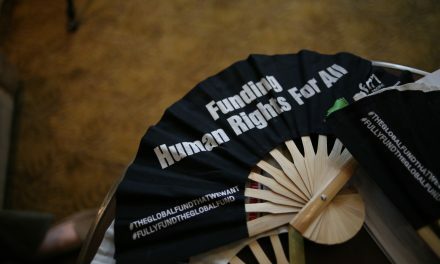 In the lead up to this meeting and during the meeting proper, young key populations were engaged and have subsequently become an important actor in the Asia-Pacific HIV response. In this brief (IN FOCUS Vol. 6), produced in partnership with YouthLead, the Declaration is assessed from the perspective of young people, and from the perspective of Young Key Populations (YKAP) in particular. Download inFocus Vol. 6 here.